A documentary film event will be held on Thursday, 10 January 2019. 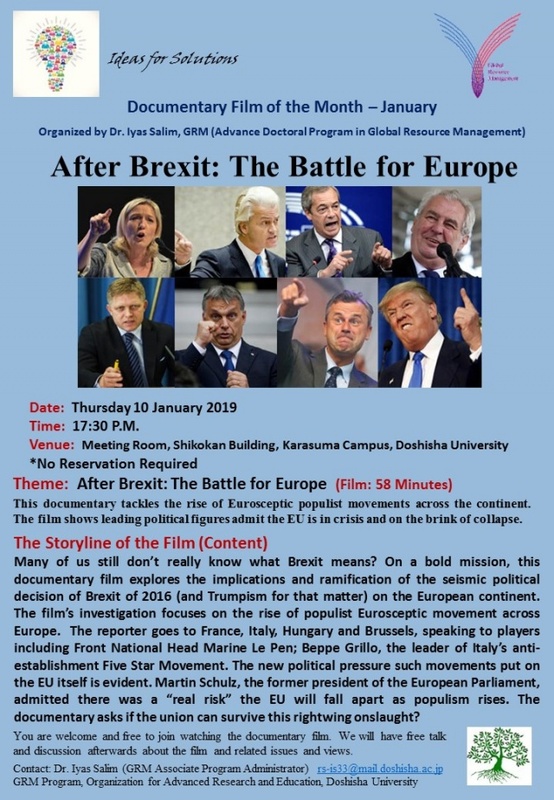 “After Brexit: The Battle for Europe”. You are welcome and free to join watching the documentary film. Please click "Leaflet" below for more information.